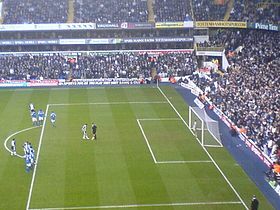 He scored his 100th competitive goal for Tottenham in the 2–0 win against Sunderland on 19 January 2008, becoming the fifteenth Tottenham player to achieve this feat. 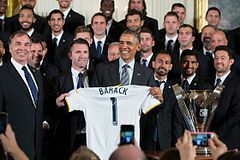 On 24 February 2008, he won his first senior honour as a player as his Tottenham side won the first League Cup Final to be played at the new Wembley Stadium, beating Chelsea 2–1 after extra time. On 12 April 2008, Keane made his 250th appearance for Spurs in the 1–1 draw with Middlesbrough. Keane finished the 2007–08 season equal top scorer for Spurs with Berbatov, with 23 goals in all competitions. His 15 Premier League goals making him the first Spurs player to score double figures in the Premier League in 6 consecutive seasons. 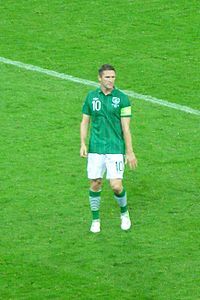 Keane won Player of the Year three times during his Tottenham career (2003, 2005–06 and 2007–08); the first player to do so. Keane rejoined Tottenham on 2 February 2009, signing for a basic fee of £12 million, potentially rising to £16 million with add-ons. The deal meant that the cumulative transfer fees paid for Keane over his career amounted to around £75 million. He signed a four-year contract with the north London club. 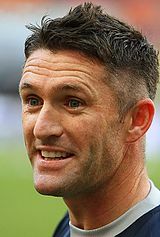 Keane was one of three players to make returns to Tottenham during the transfer window, along with Jermain Defoe and Pascal Chimbonda. He was also made Tottenham vice-captain a week later, after often deputising for Ledley King during his first spell there. 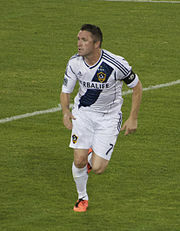 Keane scored his first goal since his return to the club on 4 March, opening the scoring in the crucial 4–0 home victory against Middlesbrough. He followed this up by scoring another vital goal, this time a last-minute equaliser, away to Sunderland in a 1–1 draw on 7 March.